Redlands Alarm Company has been a family run business for over 30 years. We know what we are doing. We are experts in our field and we know the Inland Empire. We have been there right alongside you as we have watched this valley go through our victories as well as our challenges. Running a family business you learn how important it is to keep your family safe and by your side. That peace of mind is priceless. So we do everything that we can to provide that perfect assurance. 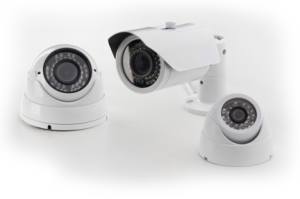 We design your security system to meet your every need. Whether for your home or your business, we know that no two locations are the same. Therefore, no two alarm or camera systems should be the same. Your needs and wants are unique to you. We won’t be working to fit any other agenda but your own. You want to alarm only the first floor – we can do that. You want to schedule your garage door to close every night at a certain time – we can do that. Your hands are full and you need to disarm your system with a wireless feature – we can do that. We partner with only the best security partners.